FORT LEE, Va. – The Defense Commissary Agency has chosen the names “Freedom’s Choice” and “HomeBase” for its private label product assortment. That announcement came from DeCA Director and CEO Joseph H. Jeu. Private label, also known as store brands, will be appearing on commissary shelves in May. Freedom’s Choice will be the commissary brand name for food items and HomeBase for nonfood items such as paper products and other household items. With the initial rollout targeted for May, patrons in commissaries worldwide can expect to see a number of DeCA’s Freedom’s Choice and HomeBase products. It takes time to develop and allow for a store brand to reach maturity, so the number of Freedom’s Choice and HomeBase products will continue to grow much larger over the next four to five years. Private label products are offered by retailers under their own, in-house brand or under a brand developed by their suppliers. DeCA conducted extensive research into developing the commissary brands, surveying hundreds of military members and their families to obtain their input for names and logos. 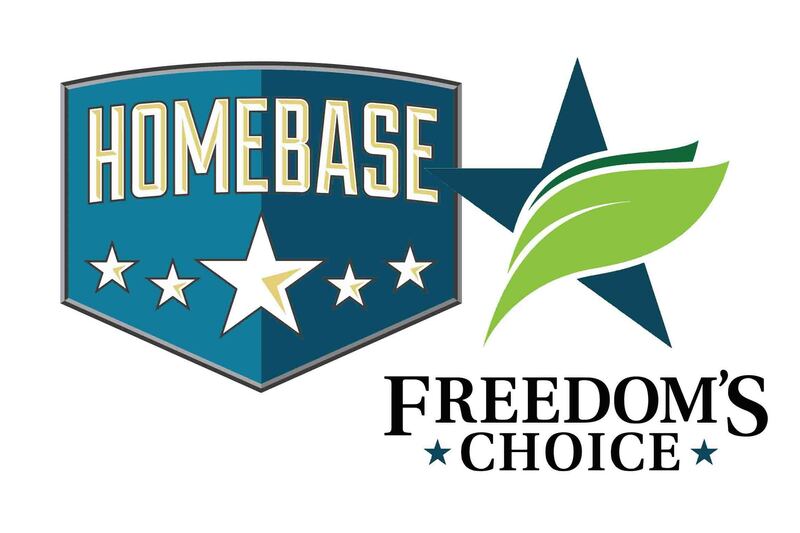 Plans to start promoting Freedom’s Choice and HomeBase have already begun and commissary customers will be noticing these names and logos very soon. In December, DeCA announced its partnership with SpartanNash to begin developing the commissary brands. SpartanNash, through its military division MDV, is the leading distributor of grocery products to military commissaries in the United States.